Looking south along D.L.& W. tracks on west side of Oswego River. 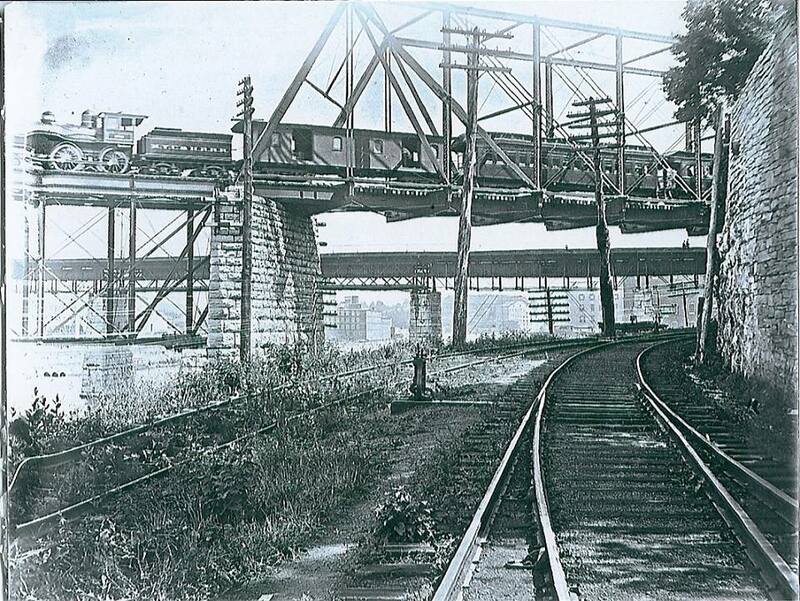 Eastbound New York Central train on "Hojack" bridge. 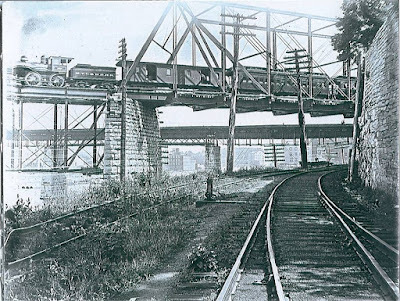 Second Street bridge in background. 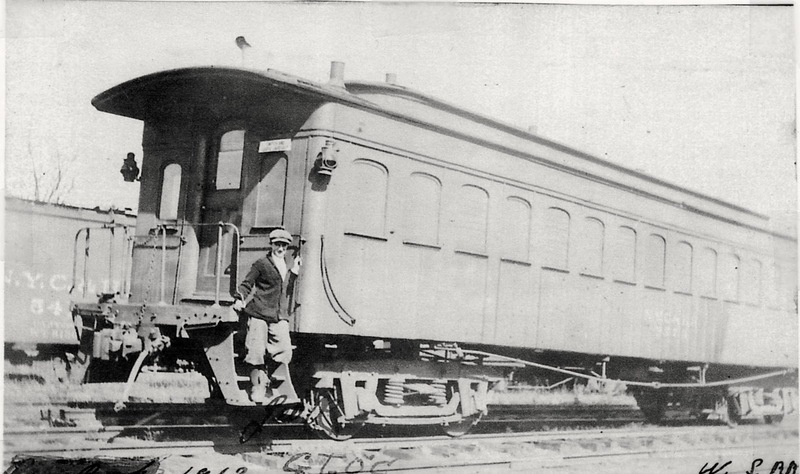 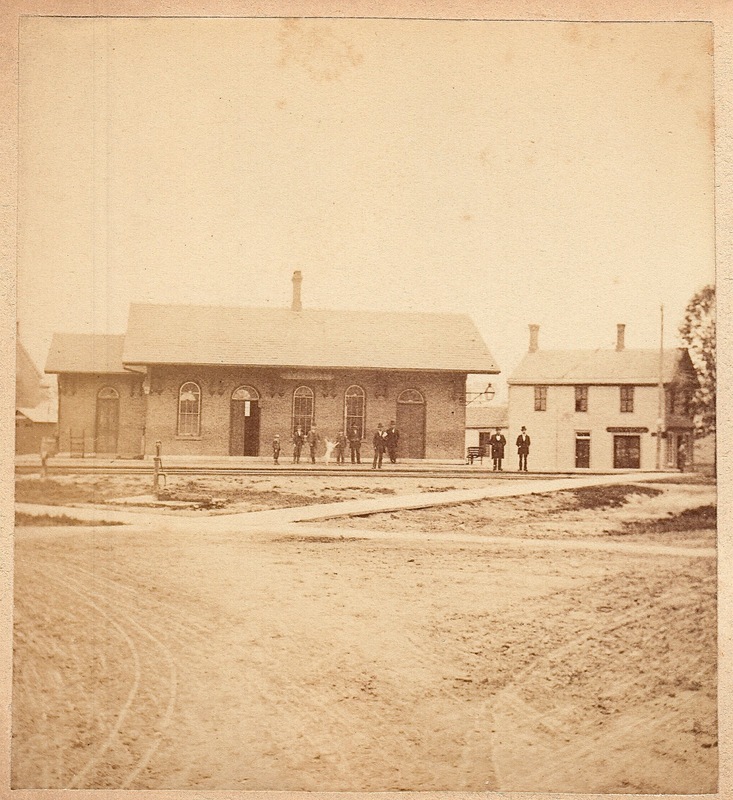 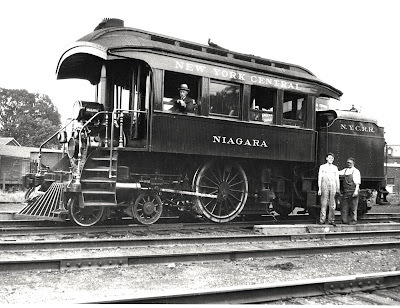 Old New York Central passenger car at Newark, N.Y. , probably by this time in work service as the arched windows are boarded up.The car probably dates to at least 1860s or 1870s. 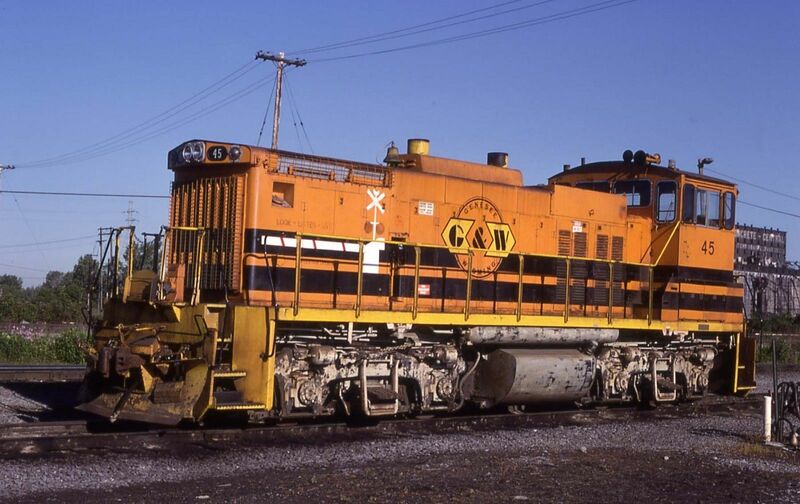 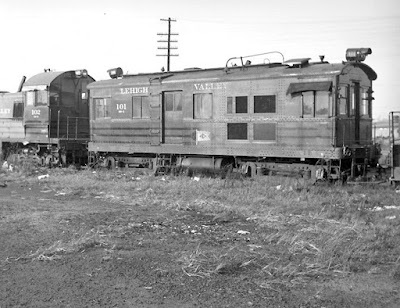 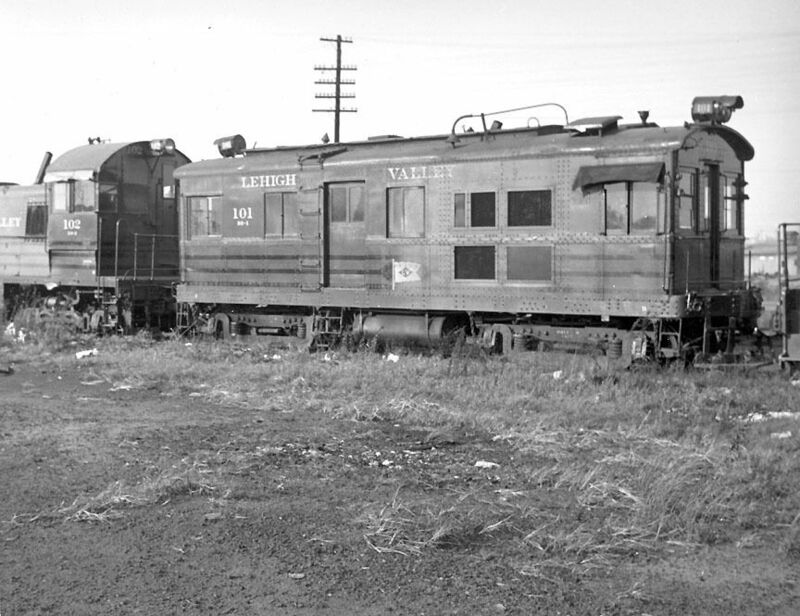 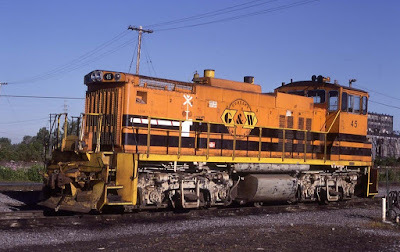 In the background is a freight car lettered “N.Y.C.& H.R.” Newark was originally a division point on the New York, West Shore & Buffalo, built as a competitor of the New York Central. 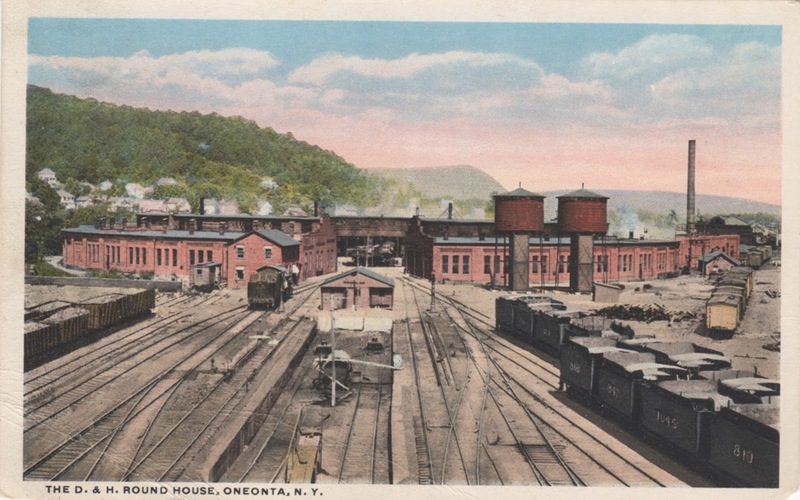 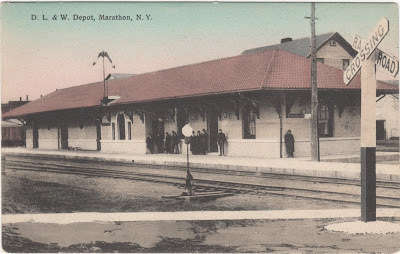 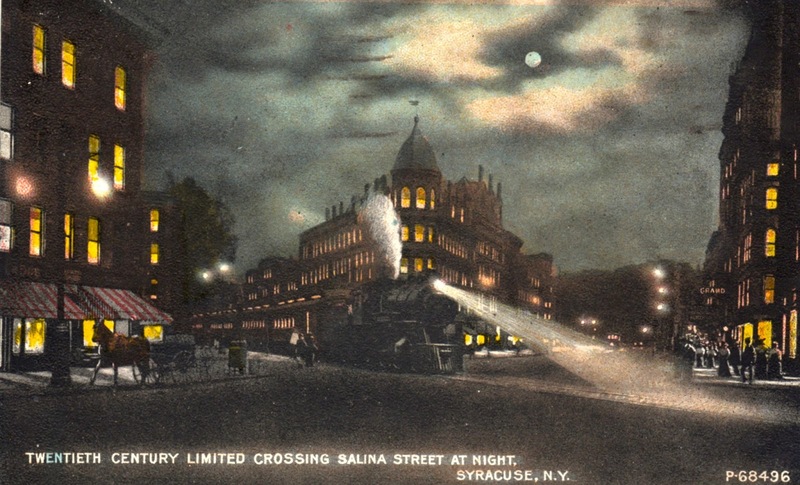 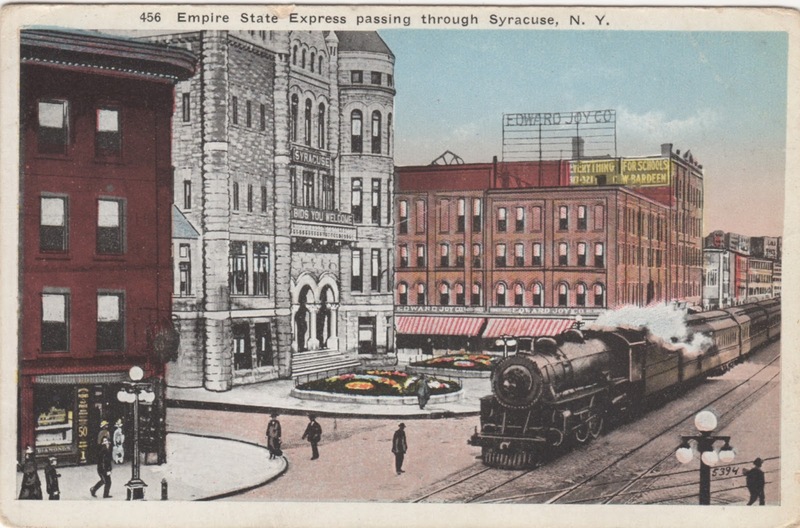 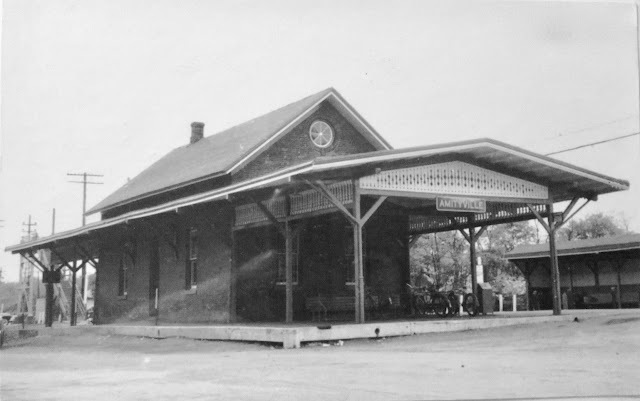 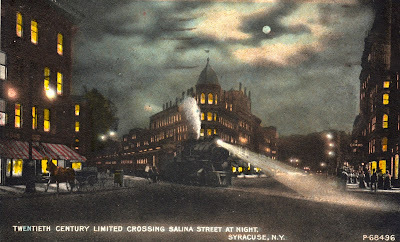 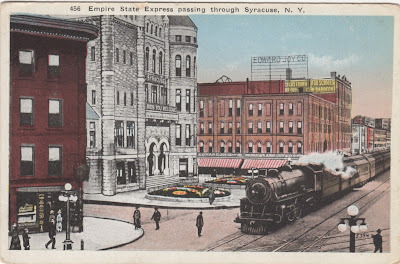 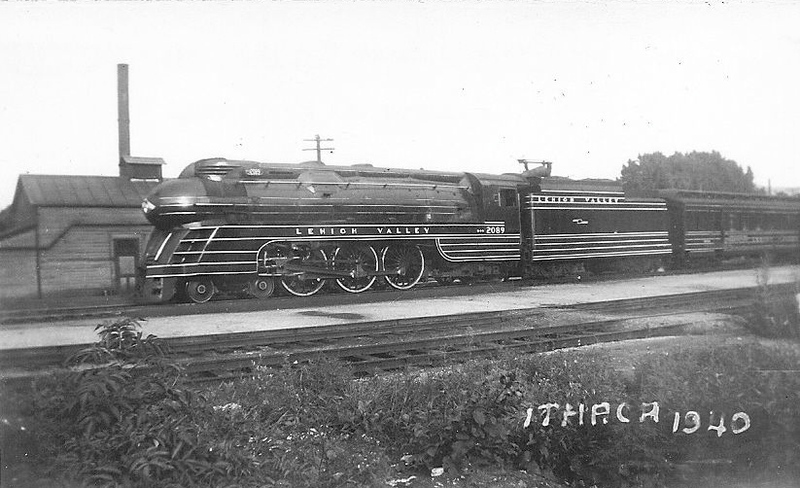 New York Central Inspection Locomotive "Niagara"
D.L.& W. station, Marathon, N.Y. 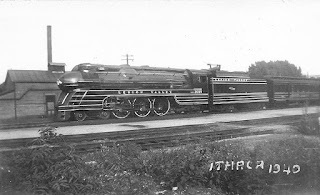 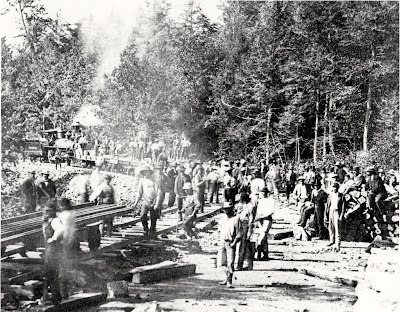 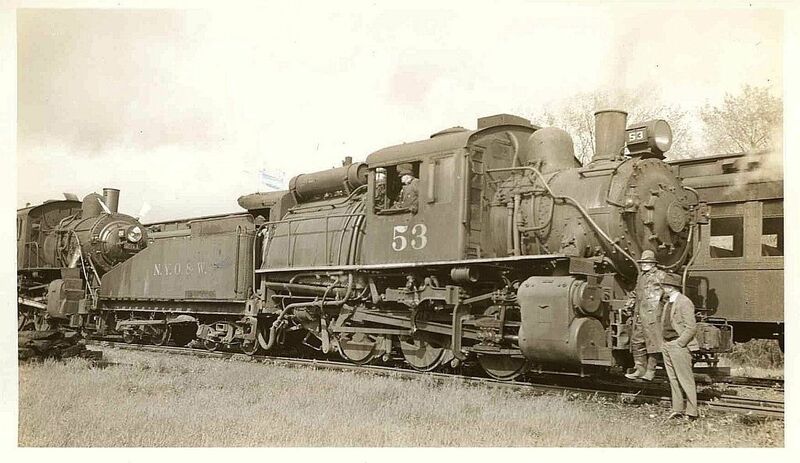 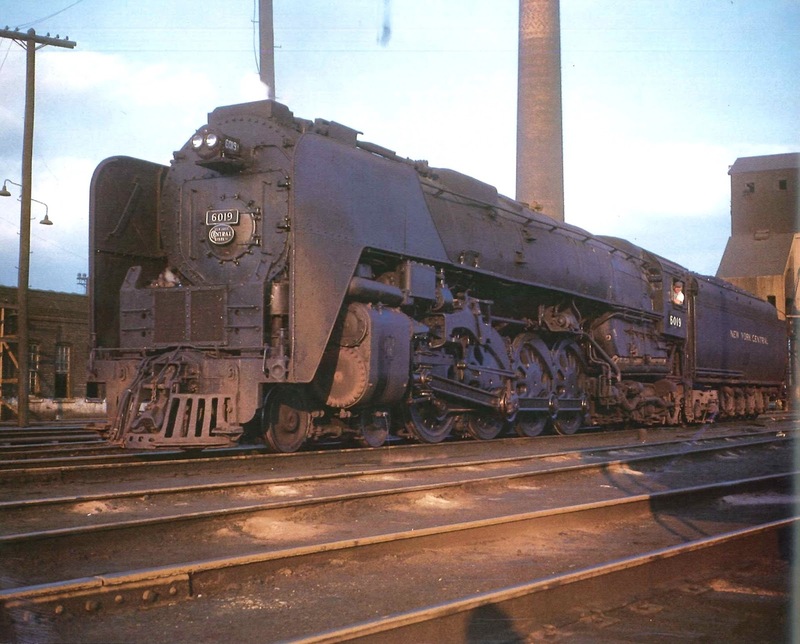 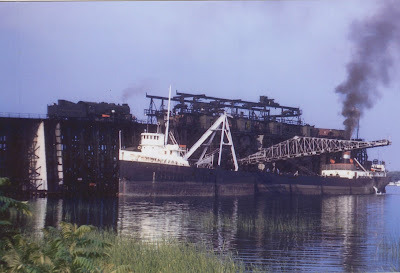 This was taken on the last day of steam east of Buffalo. Charles Nye ("Charlie Brown"), operator.